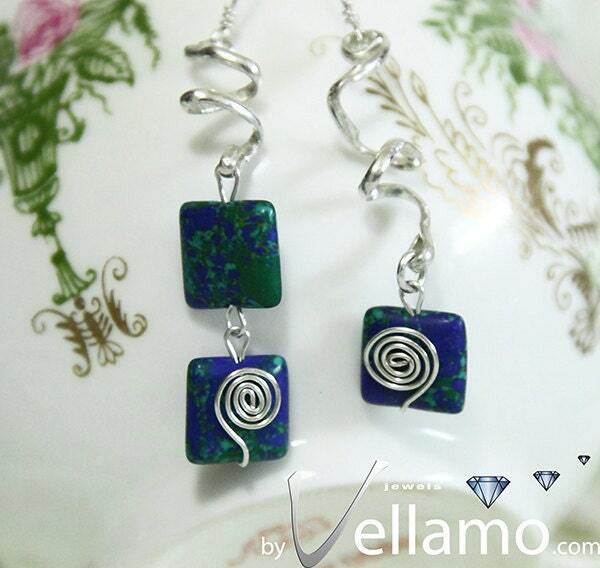 Earrings with beautiful blue and green magnesite gemstones and sterling silver spirals, modern. They are slightly asymmetrical. The high quality half round silver wire gives them a beautiful shine. The stones are 10mm x 10mm square. I am shipping with First Class International for fast delivery.